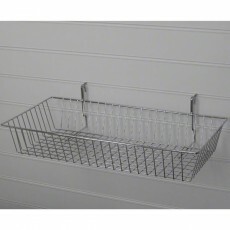 There are countless reasons why Slatwall has become so popular recently and now you display more than ever with our Slatwall display baskets. 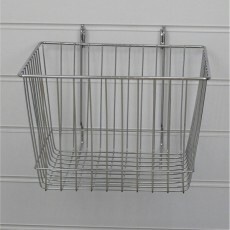 Slatwall wire baskets are ideal for exhibiting loose or smaller packaged items with convenient access. Available to buy are a variety of sizing options from narrow to large, shallow styles. 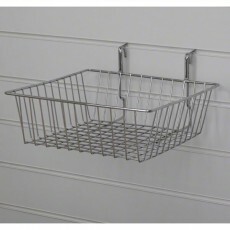 Shelving for Slatwall is easy to install, simply fit the baskets into the groove and you can start crafting your store display. 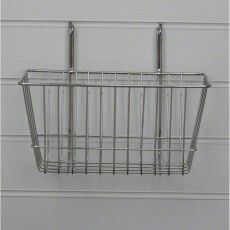 All of our display baskets are plated in rust resistant chrome, which means you can place more items within them with ease of mind.